When it comes to anything Glossier, chances are I've tried it and I love it. 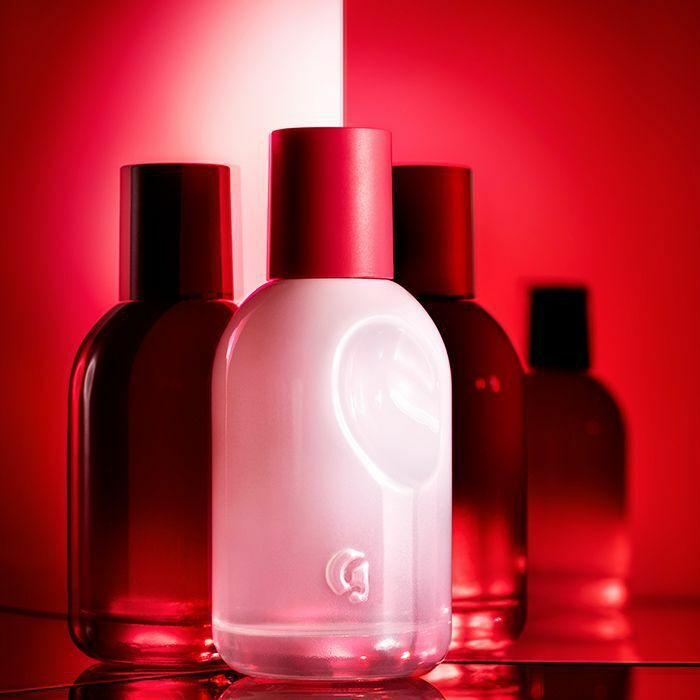 What started as a long-distance romance from London to New York where friends would buy me staple products and send them long-haul overseas has now transcribed into a full-on love affair—and it's just intensified with the launch of the brand's debut perfume, Glossier You (£45). After founder and CEO Emily Weiss first teased us with the news of a scent back in June, we’ve all been on tenterhooks waiting for it to drop. And as of today, you can add it to your basket and conveniently have it shipped to your UK location. So what’s the deal? Glossier describes it as “the ultimate personal fragrance to be enjoyed close, in the comfort of your personal space.” Upon the first spritz, that’s exactly the vibe I got. It’s almost addictive and begs you to smell your own wrist again and again to get a hit of its intoxicating smell. It’s not overwhelming and doesn’t overpower you—instead, it fills you with a warmth that’s almost indescribable. And what do you expect when the very perfumer that created Le Labo Santal 33 (£120) worked on the scent? The three base notes of ambrette, ambrox and musk create a creamy, inviting, salty smell that makes you feel cosy and complete. Combined with the woody top notes of iris root and a hint of spicy pepper, the scent is ultimately close to the skin, or you. It feels personal and private. I’ve worn it for a few days now, and it’s as addictive as the first time I tested it. It doesn’t develop over time or change, the smell you get at the beginning is exactly what you take with you throughout the day. That musky, woody, smooth smell. And I've had a fair few compliments on it, too. Trust me, you’re going to want to add this to your Glossier basket. Up next, why not read our review of Glossier's Body Hero?